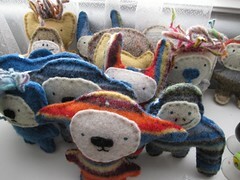 herd of critters - Craftastic. broke my foot, so i've been keeping off my feet and doing a lot of sewing. good thing i have a lot of little nieces and nephews.